News from Pegaso in Italy, the marketing arm of Southern Wind Shipyard, that the 21.48m sailing yacht Kiboko is now for sale. 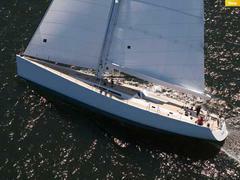 Kiboko was launched by Southern Wind in February 2006 to a Reichel Pugh design and built in carbon fibre and Kevlar. A high-performance cruiser/racer, this superyacht's Antonio Minniti interior offers accommodation for six guests in a master and two twin cabins. Kiboko is asking €2.85 million.